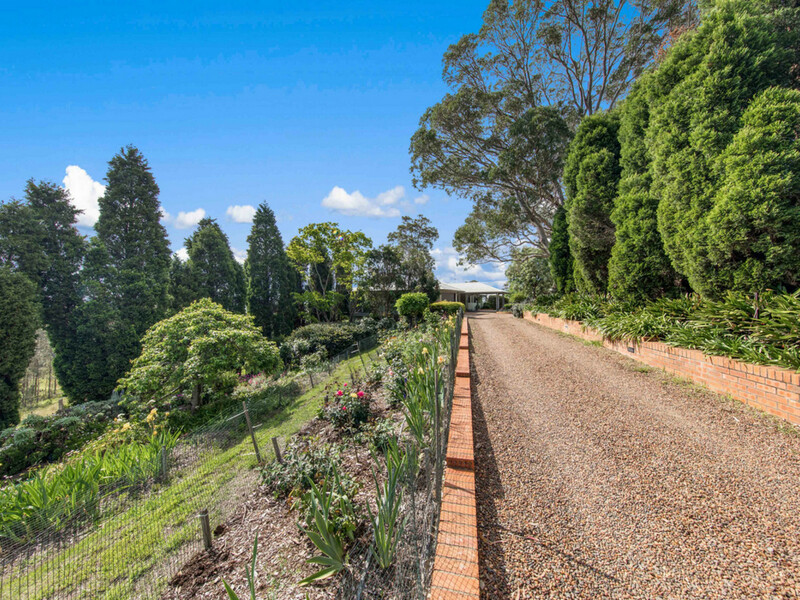 Elegant and stunning this gorgeous property will tantalise your senses! 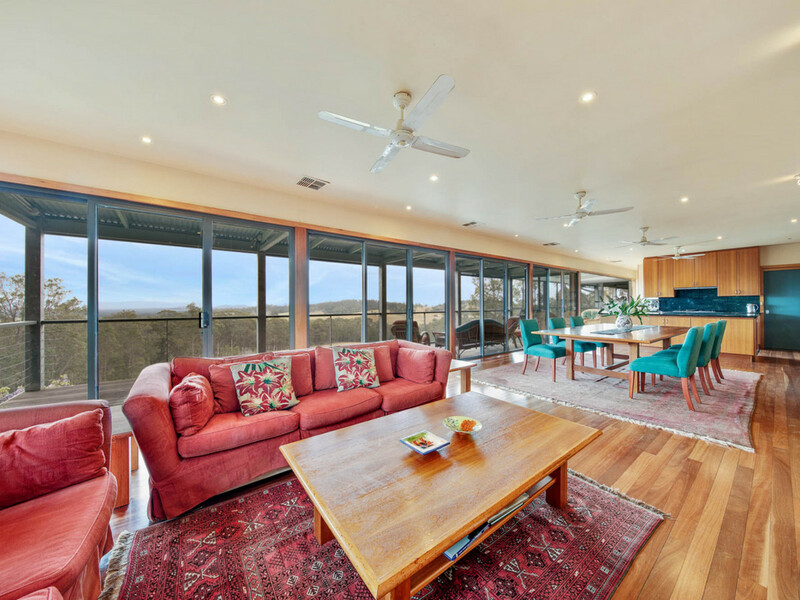 Set on 100 acres in a private, elevated location enjoying expansive mountain views, the architecturally designed and master-built home is beautifully designed to capture the amazing outlook whilst enjoying classy luxurious living. 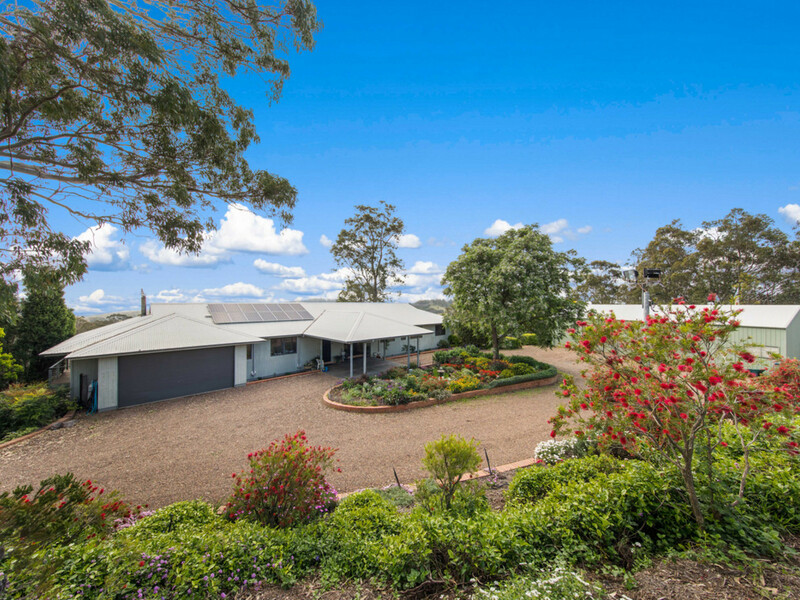 Constructed to the highest of standards, the home is spacious enjoying light filled living spaces, the ideal haven to enjoy your surrounds be it whilst relaxing with a glass of local Hunter wine in front of the open fire, entertaining friends and/ or family in the expansive open plan living/ dining area, reading a book in the sun drenched atrium, playing pool in the family room or working out in the gym. 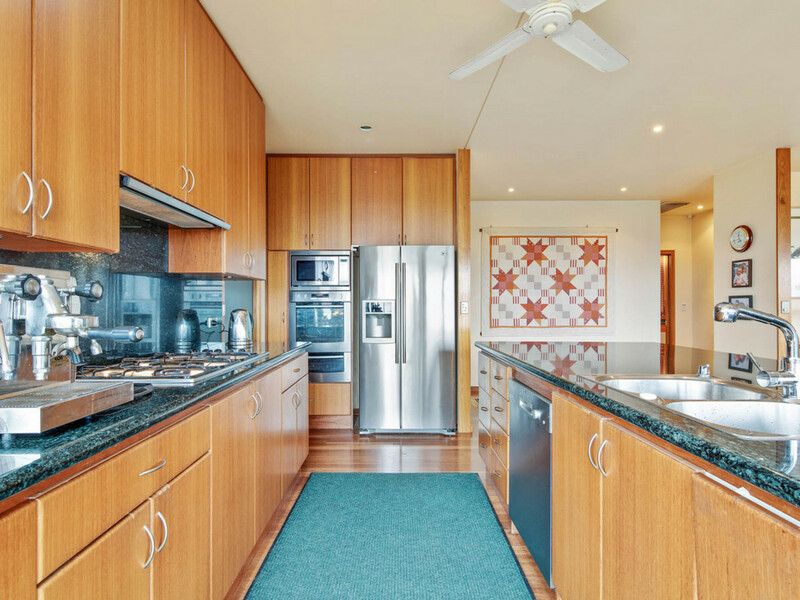 With blue gum flooring, ducted air conditioning and ceilings fans throughout, tall ceilings, 3 spacious marble and granite bathrooms, powder room, extensive built-in rose gum carpentry throughout the lounge/dining, family, five bedrooms, walk-in robe and office, large gourmet kitchen with granite tops, walk-in pantry and uninterrupted views, wine cellar, mud/coat room, 8kw solar system, large car garage and 2 large entertainment decks, framed by amazing cottage gardens providing a sea of colour and overlooking the luxurious 6x13m solar heated pebblecrete pool, this amazing home is the ultimate indulgence. 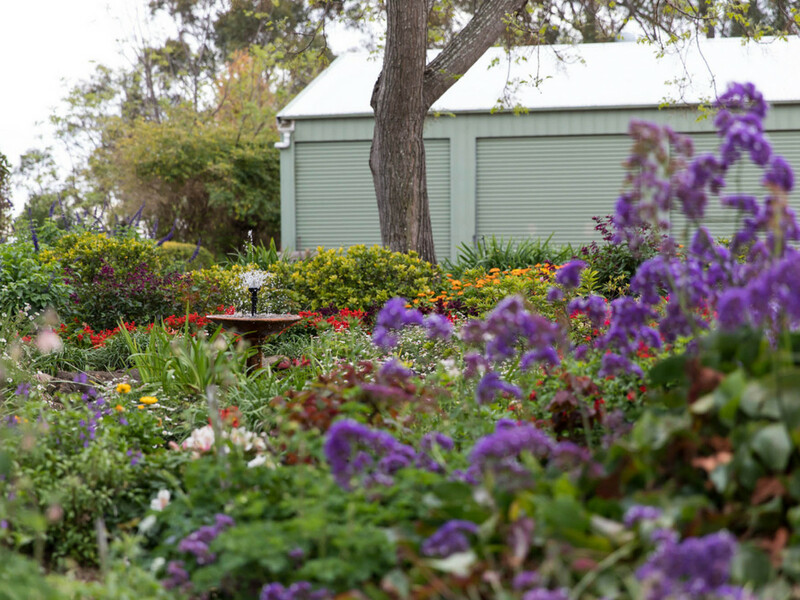 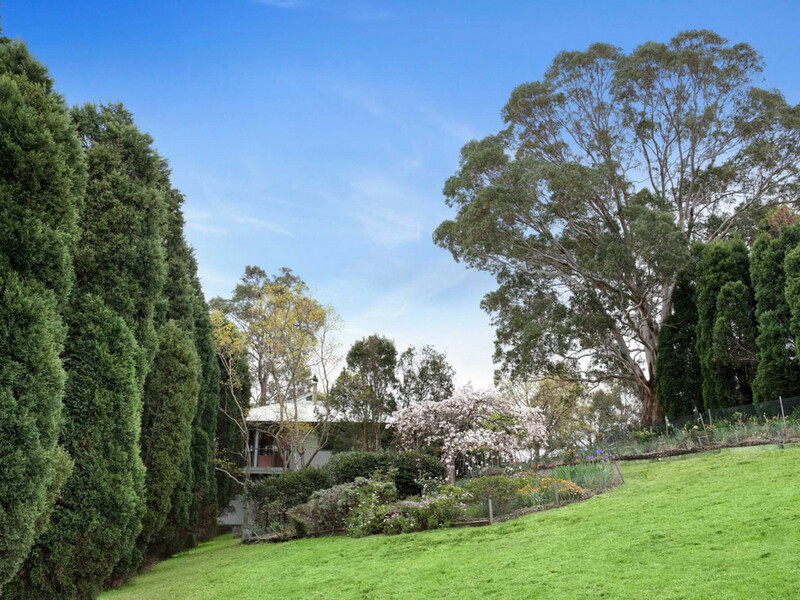 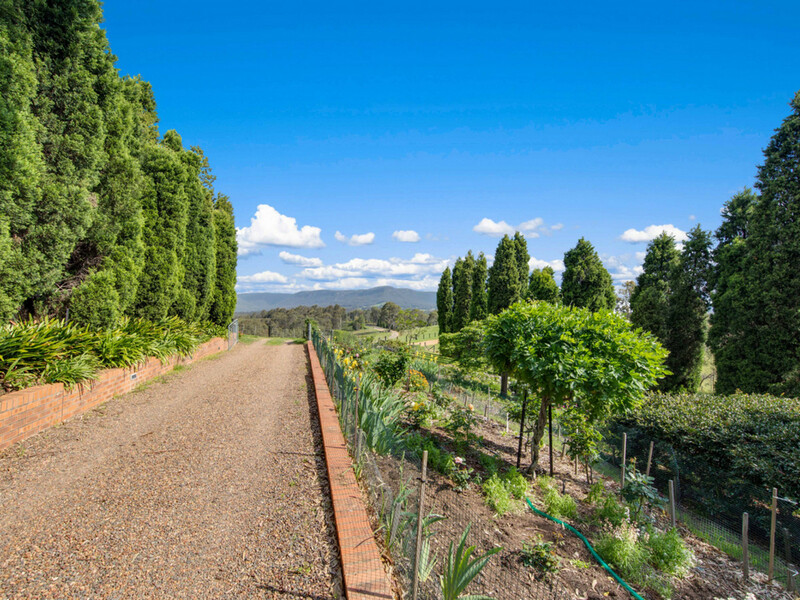 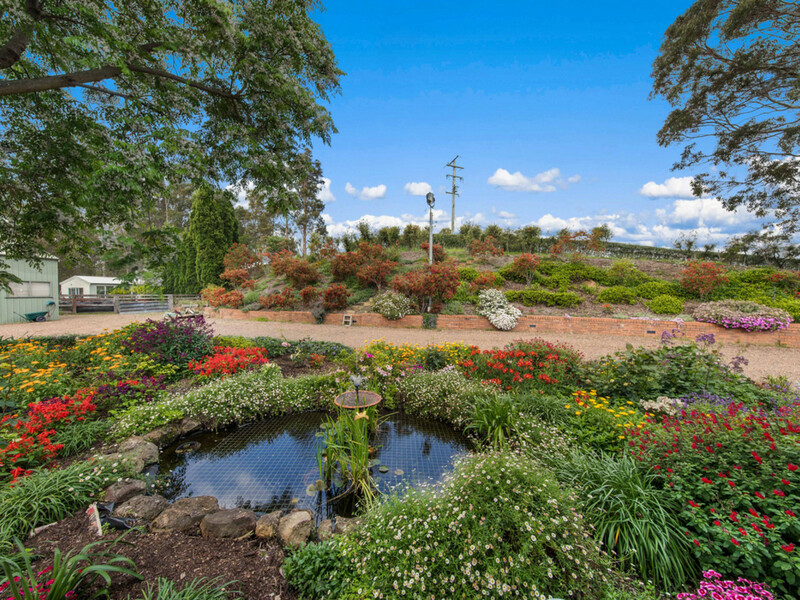 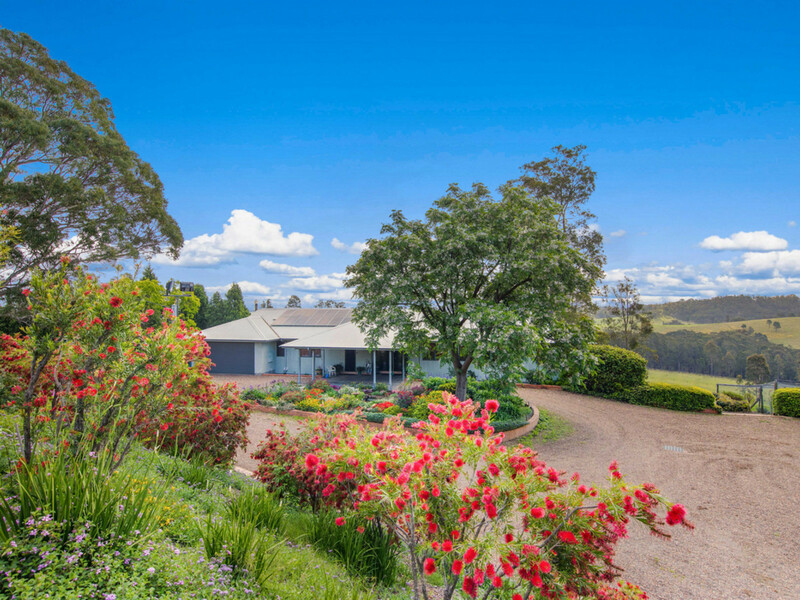 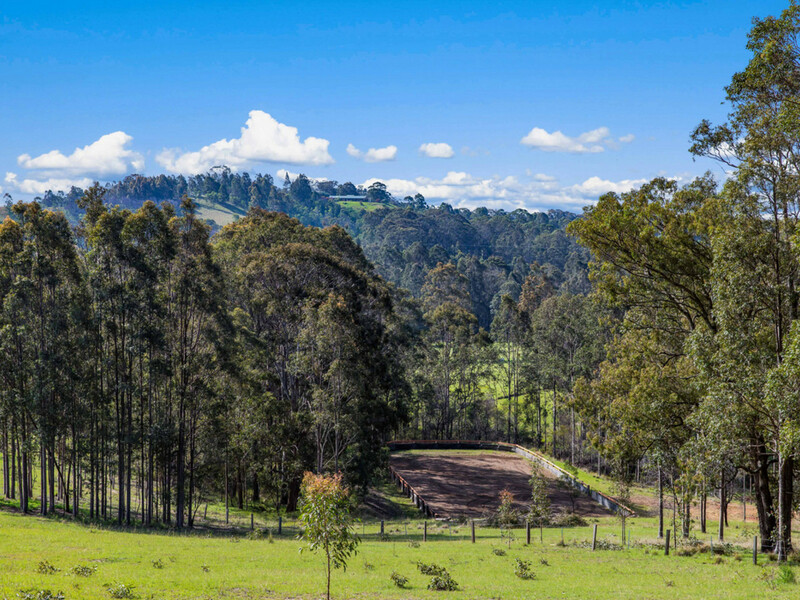 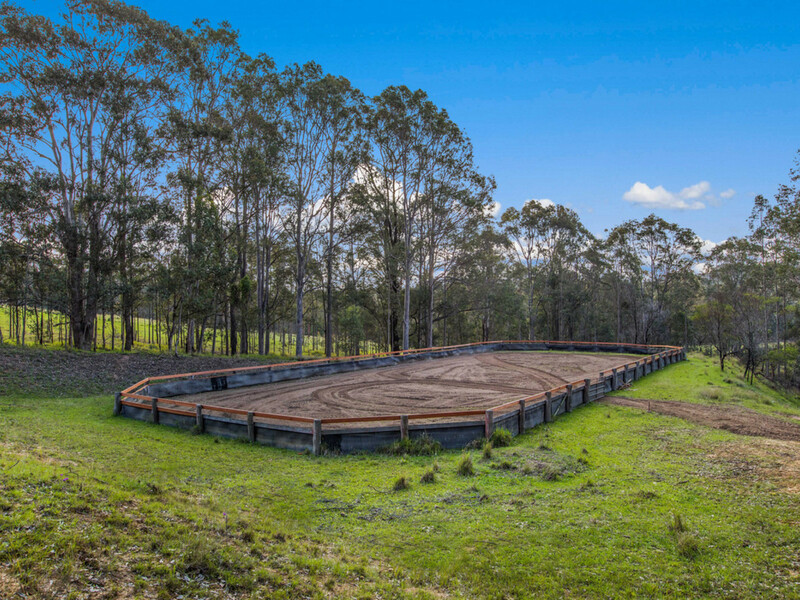 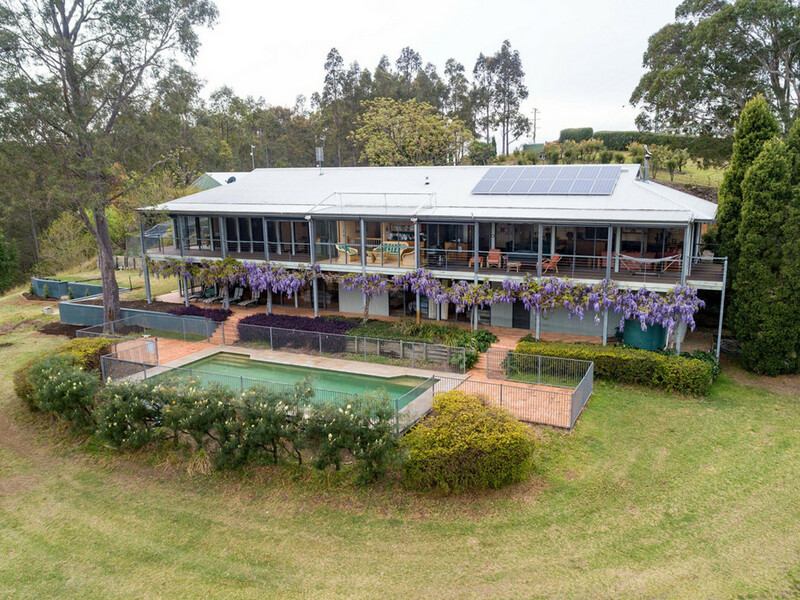 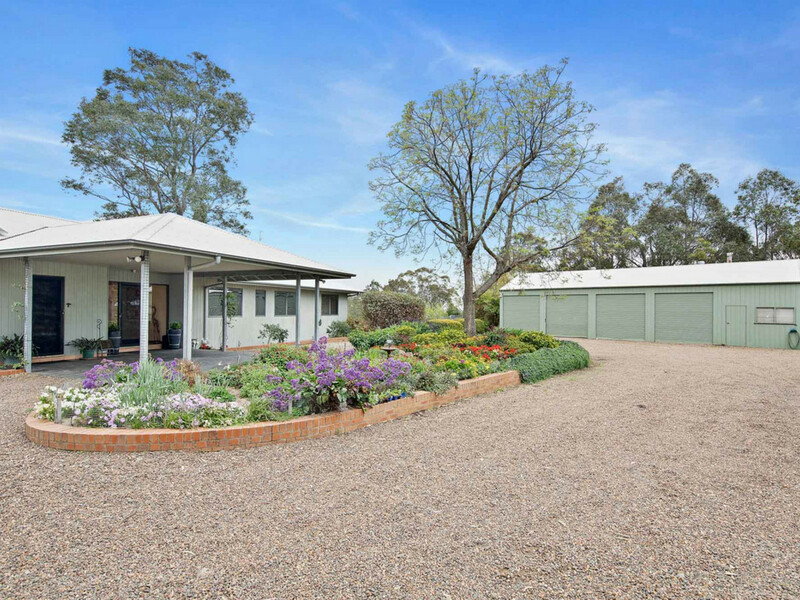 The property itself is diverse, predominately grazing land with pockets of timber, historically used for horse and cattle grazing, the property enjoys 6 dams, a seasonal creek, cattle yards, dressage arena, round yard, green house, vegetable and herb gardens, chicken pen, hay shed, machinery shed with tack room and bathroom and access to riding trails. 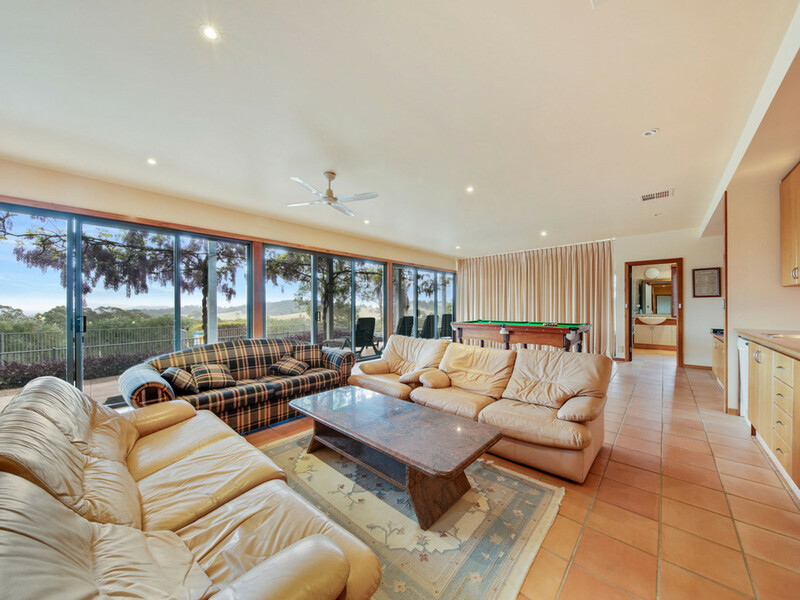 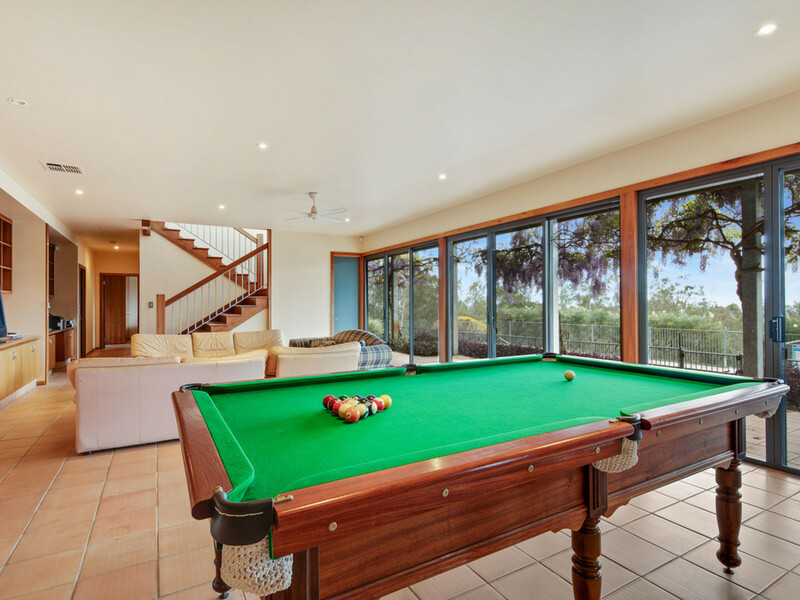 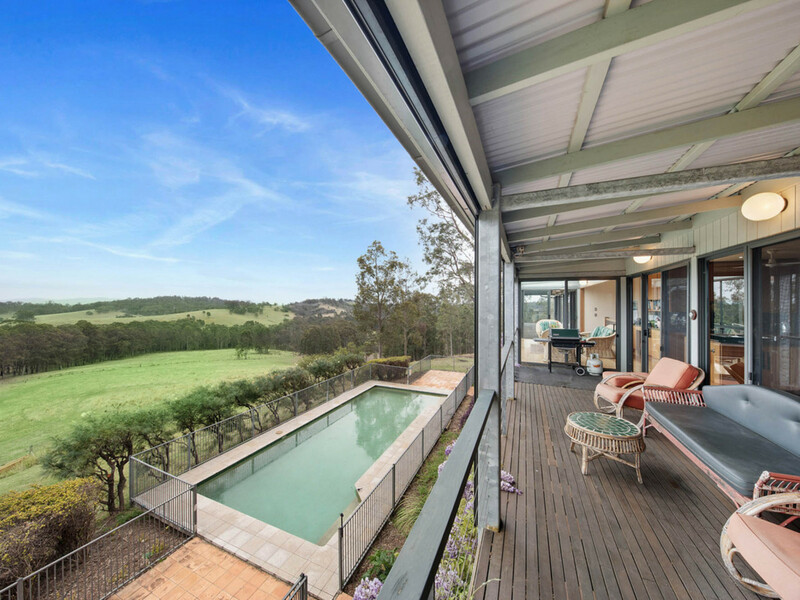 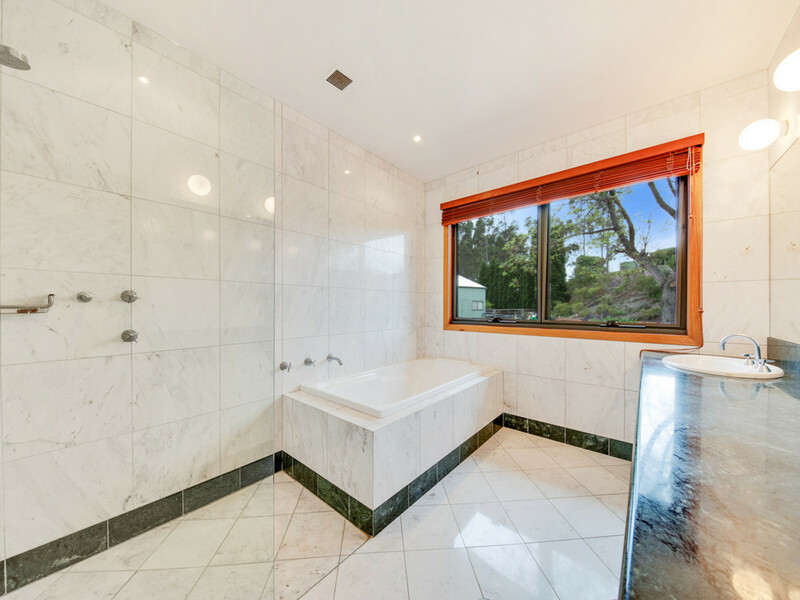 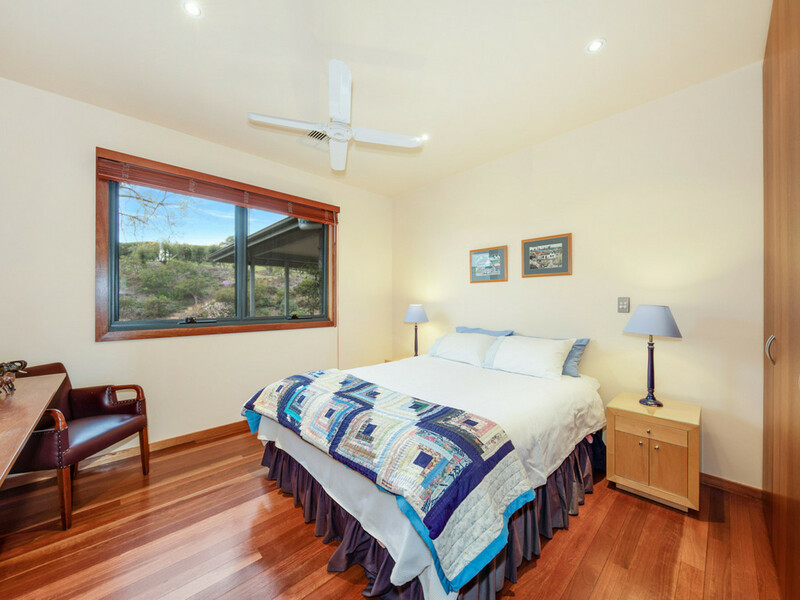 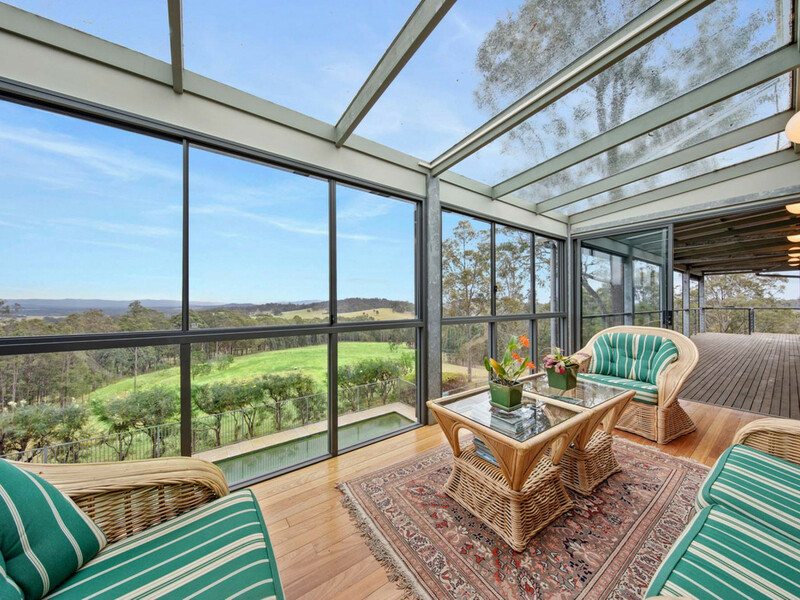 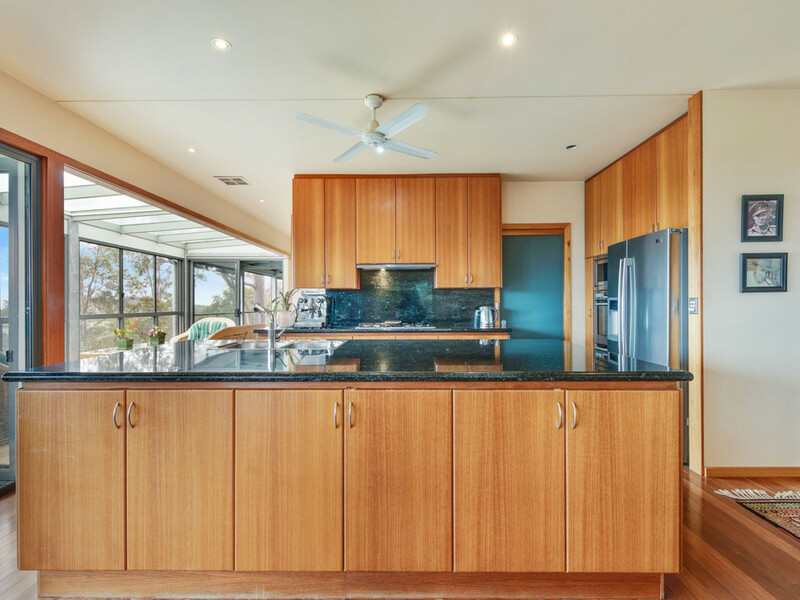 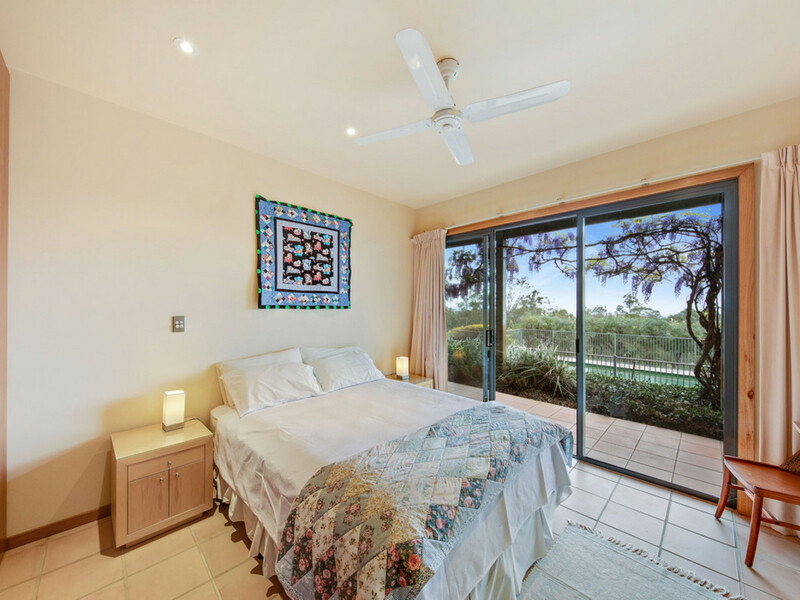 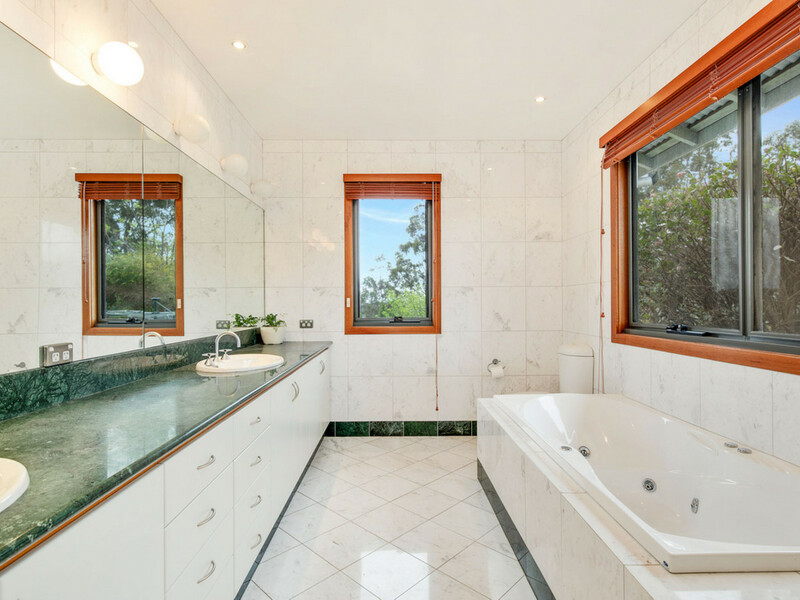 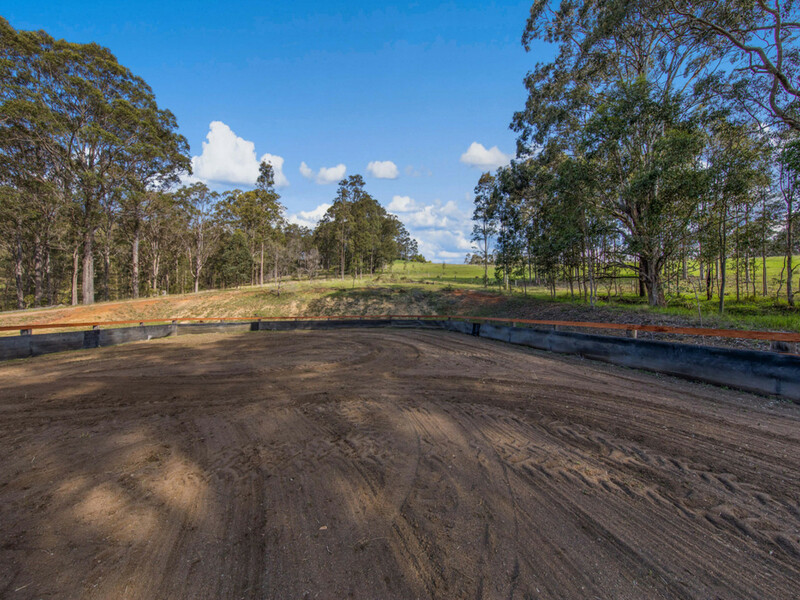 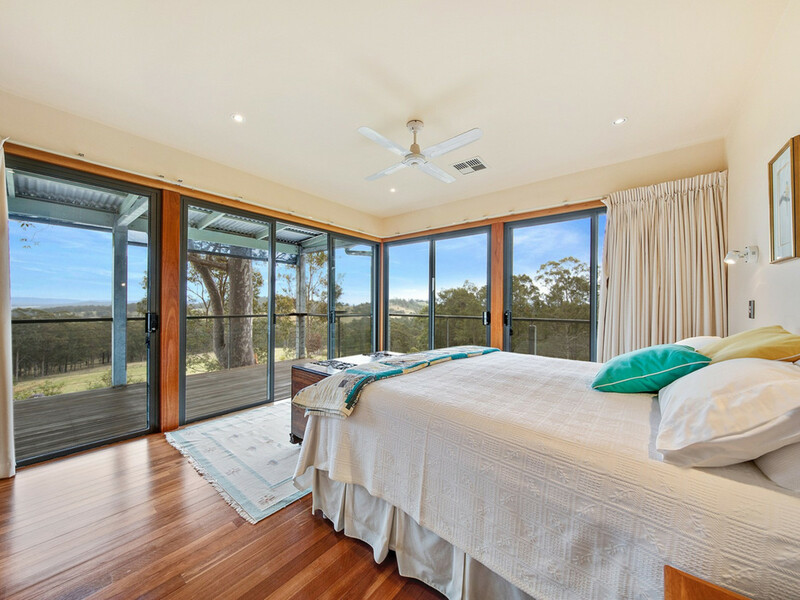 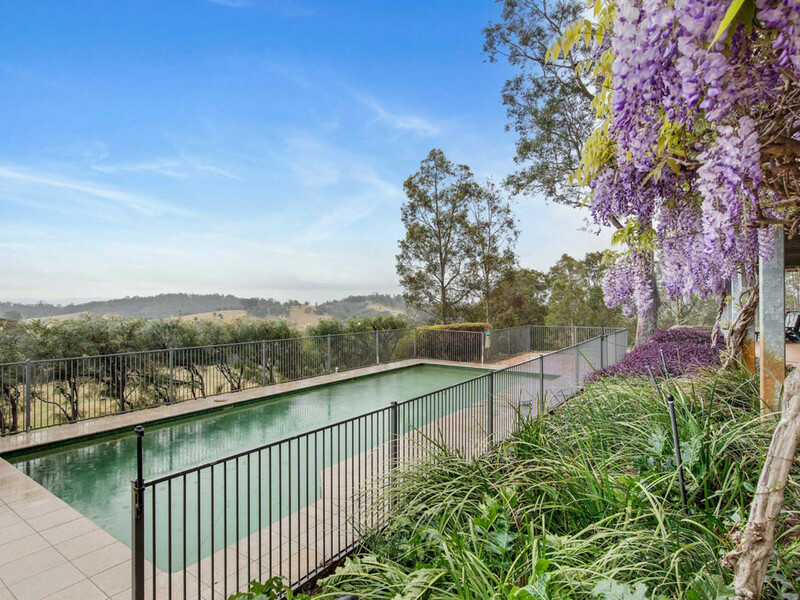 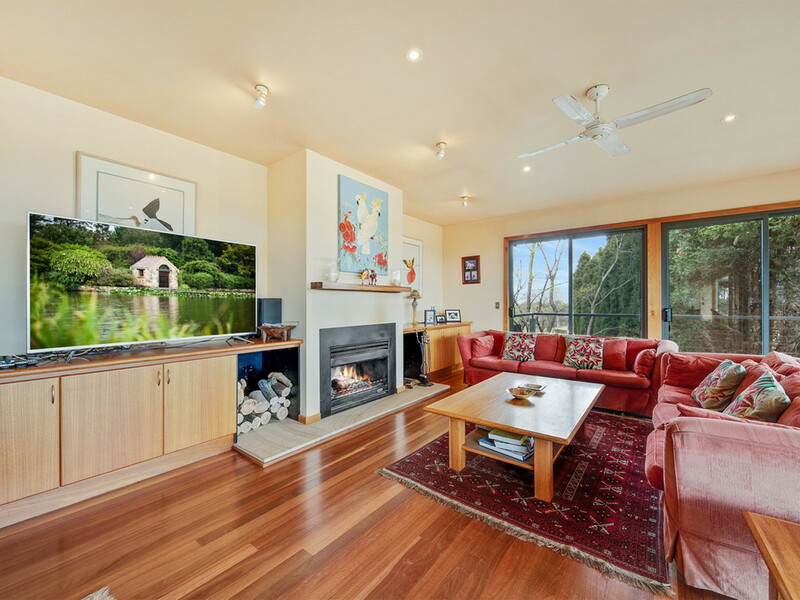 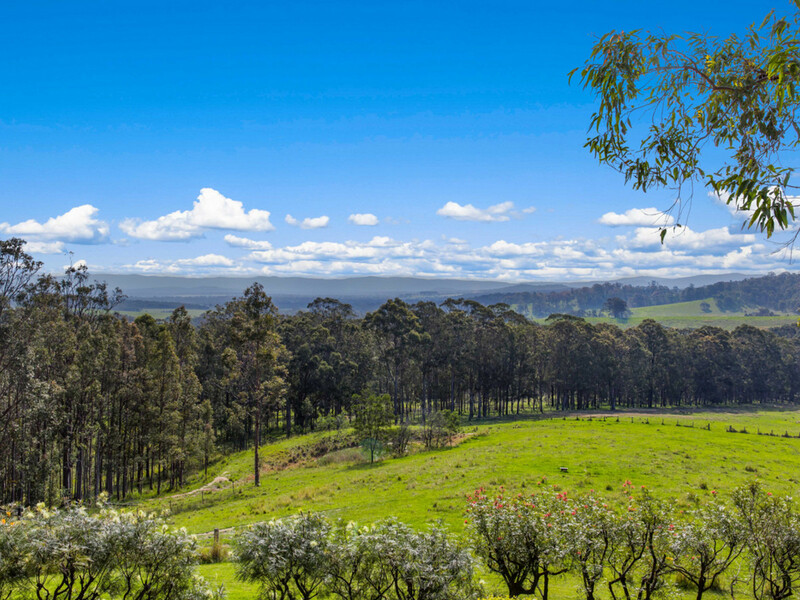 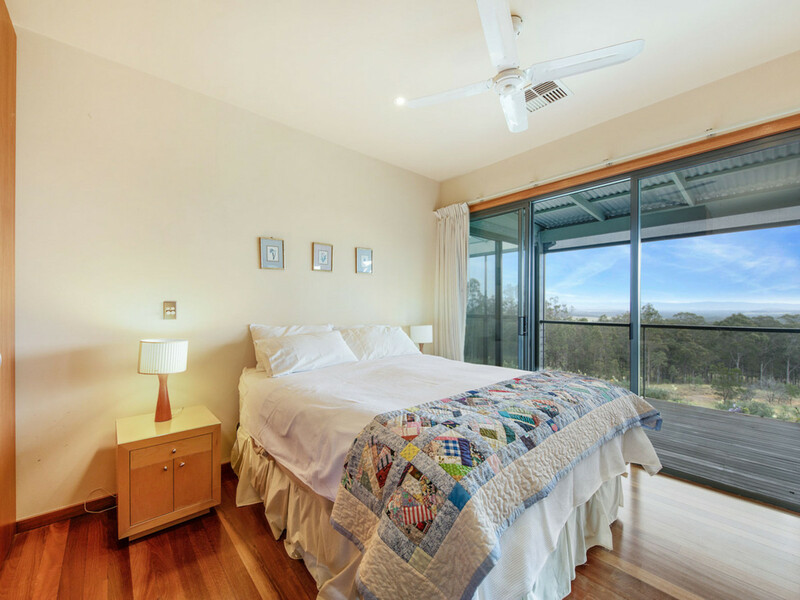 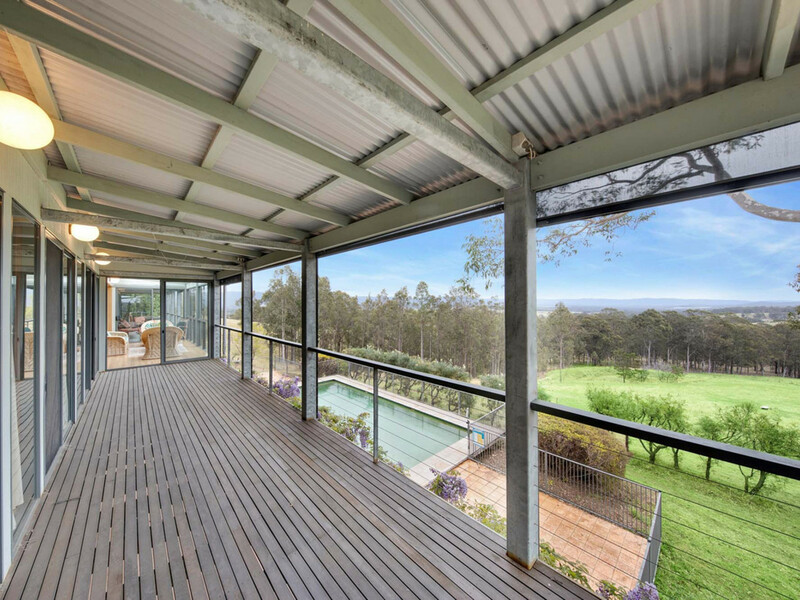 Under ½ hour drive from Toronto, Maitland the Hunter Valley’s wine regions of Pokolbin/ Lovedale and Mount View, 1 hour from Newcastle, 45 minutes from Tuggerah and 1 1/2hrs from Wahroonga, this stunning property is ideally placed for permanent living or as a weekend retreat!